I want to start off by saying that I grew up eating Sabritones. It was one of my favorite chips, maybe top three. Now that my whole lifestyle has slowly but surely evolved and progressed to a more healthy lifestyle I sometimes find myself craving those comforting and exciting snacks that I had growing up. Like pastries, cookies, cereals, drinks or chips. This is why I strive to look for products that can provide me with that same comfort feeling and taste, fit into my healthy lifestyle, and won’t give me too much of a guilty feeling when indulging. With that said, I recently went to my local Sprouts and spotted Beanitos Chile Lime Puffs. I didn’t even think twice as I grabbed them and placed them in my shopping cart. I mean Chile, Lime, Pufffs; what else could I ask for? I was so excited to get home and give them a try. As I opened up the bag I felt like a little girl anxiously awaiting for yummy goodness. I was not disappointed; they were deliciously addicting. This is so bizzare because not too long ago I was at a family get together and Sabritones were amongst the chips in the food table and I was inclined to take a few just for good old times sake. Biggest mistake! They were so salty and I couldn’t even eat more than one. I don’t know if it’s because my palate has changed but I just could not believe how salty they were and that I would eat these chips as a child. 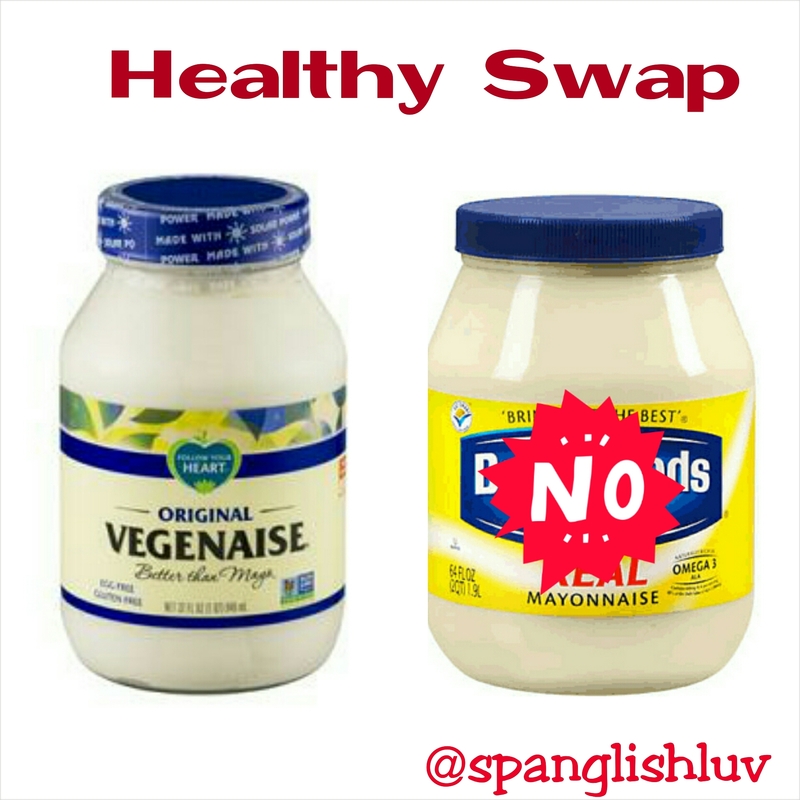 Now that I started reading and doing my research on these two products I knew it was a Healthy Swap I wanted to share with you. If you can easily substitute something that you like for something that is better for you but still delivers on taste; why not make the switch? Sabritones contain 150 calories, 10g total fat, 690mg sodium, and artificial flavors. 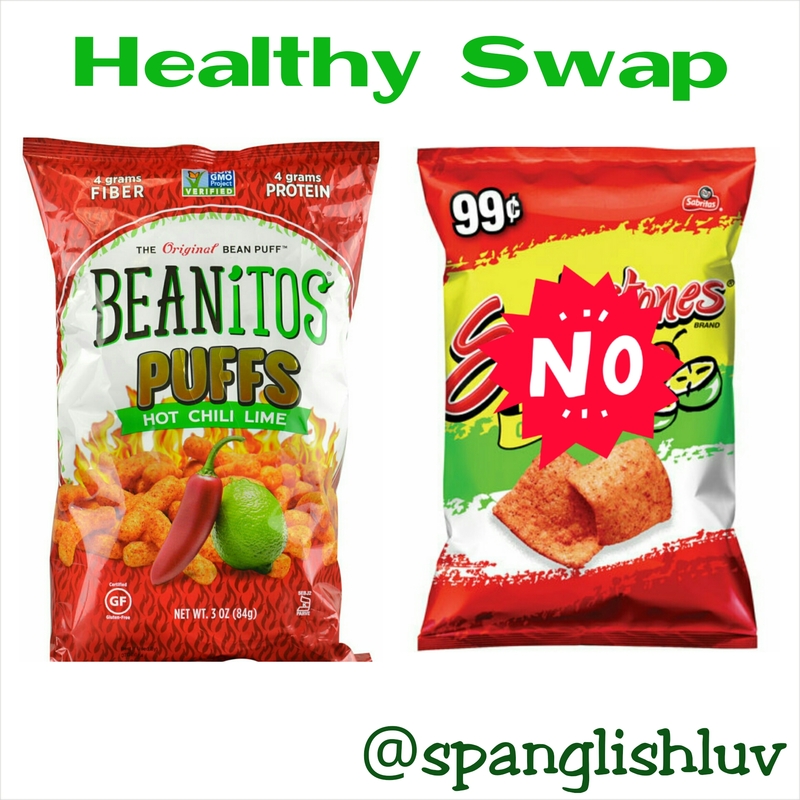 Beanitos Chile Lime Puffs contain 120 calories, 4g total fat, 130mg sodium, 0g trans fat, are made with whole navy beans, no preservatives, and no MSG. A big difference in the ingredients and nutrition; not to mention the sodium. No wonder I thought Sabritones were too salty, 690mg sodium, that is a lot. If you like chile lime chips and sometimes crave for them; I highly recommend Beanitos Chile Lime Puffs. They will be perfect for the upcoming Superbowl-A great party snack! Beanitos also carry many other yummy chips that I highly recommend. Hope you give them a try. Yo crecí comiendo Sabritones, eran unas de mis papitas favoritas. 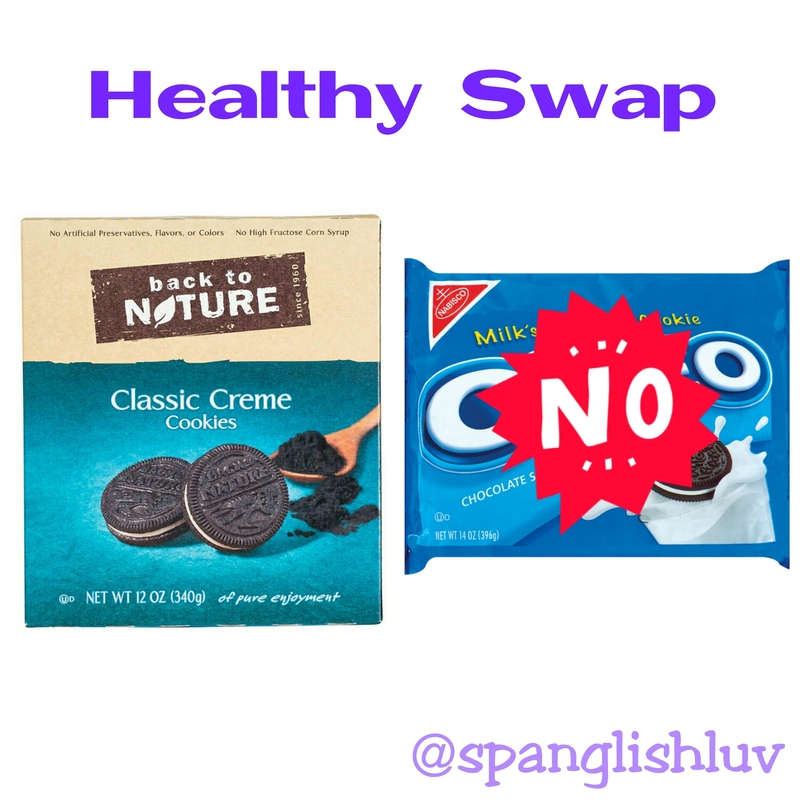 Pero ahora que poco a poco mi vida a cambiado y trato de llevar un estilo de vida más saludable no dejo de recordar y desear comidas que crecí comiendo; como galletas, cereales, bebidas ó papitas. Es por eso que me esfuerzo a encontrar productos de comida que me proporcionen con la misma satisfacción y confort pero que son mejor en ingredientes y nutrición. Recientemente en la tienda de Sprouts encontré Beanitos Chile Lime Puffs y no dude en comprarlas. Al solo ver el empaquetado me recordaron a las papitas de Sabritones. Al probarlas me di cuenta que había encontrado algo similar a Sabritones pero de mucha mejor calidad. Es curioso porque no hace mucho tiempo en una reunión familiar había Sabritones como parte de las botanas. Y no pude resistir en agarrar unas pero no pude comer mas de una; se me hicieron muy saladas. Ya que me puse a investigar y leer sobre estos dos productos me doy cuenta de que si puedes sustituir productos de comida que te brindan con el mismo sabor, con mejores ingredientes, mejor nutrición y te satisfacen a productos que si tal vez son ricos pero que no te brindan mucho en cuestión de nutrición, ¿porque no hacerlo? Sabritones contiene 150 calorías, 10g grasas totales, 690mg sodio y sabores artificiales. Beanitos Chile Lime Puffs contiene 120 calorías, 4g grasas total, 130mg sodio, 0g grasas trans, hechos con frijoles blancos, no conservantes artificiales y no glutamato monosódico. Una gran diferencia en su nutrición y en el sodio. ¿Vieron la gran diferencia del sodio entre estas dos papitas? Es grandísima. Si ustedes son fans de Sabritones ó de papitas con chile y limón, les recomiendo Beanitos Chile Lime Puffs. Aparte de este sabor Beanitos también producen otras papitas que son muy deliciosas y la clave aquí del porque son mejor en su nutrición es porque el ingrediente principal son frijoles. ¿Papitas hechas de frijoles? Si, oyeron bien y son muy ricas y creánme que no se darán cuenta de que contienen frijol. Estas papitas son ideales para el Superbowl que se apróxima. Is one of your New Year’s Resolutions to get fit? When you work out do you feel very dehydrated? Well, Essentia Water can provide you with the proper hydration that your body needs. When your body is dehydrated it may cause your joints to get stiff, your muscles get sore, and your concentration and performance fades. Therefore proper hydration is crucial to maintain and balance your new healthy lifestyle goals. We sometimes tend to forget that drinking water is part of our healthy lifestyle. We focus on having an excercise plan and a healthy diet but water is lost in the plan. Water provides us with hydration which gives our body energy to function at its best. Essentia’s proprietary process adds the perfect blend of electrolytes to purified water and then is ionized, creating a distinctive alkaline 9.5pH water to help your body stay properly hydrated. I love the taste and the fact that it is really refreshing. I also recently was feeling under the weather and drinking Essentia Water and its electrolytes really helped me stay hydrated and gave me that extra boost. 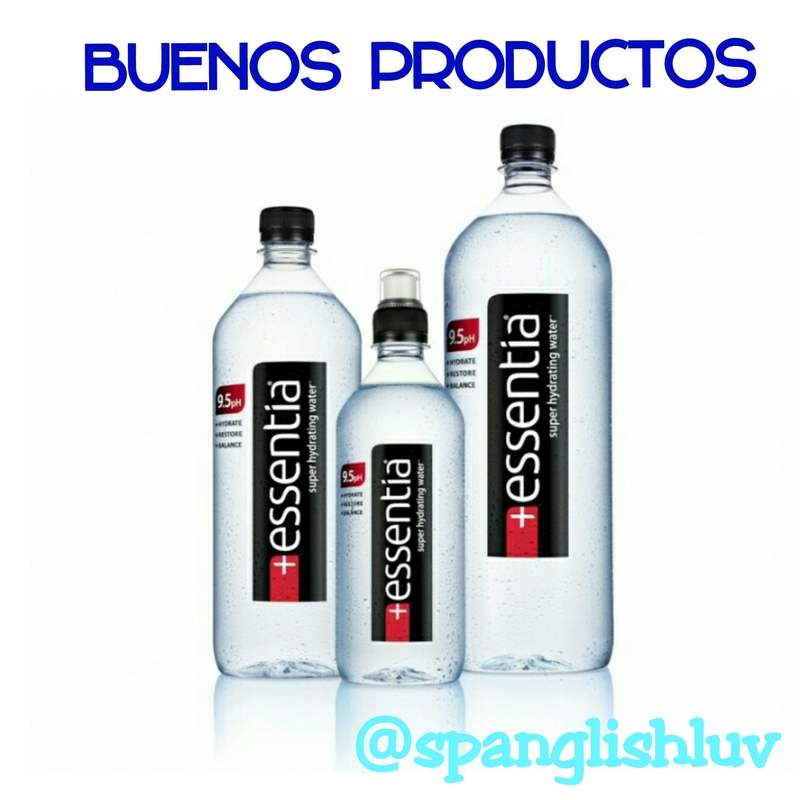 I recommend Essentia Water and that is why it has become a new favorite of mine and a Buen Producto on my count. ¿Uno te tus propósitos para el año nuevo es ponerte en forma? ¿Cuando haces ejercicio te sientes muy deshidratado? Y que tal si les digo que Essentia Water puede proporcionarte la correcta hidratación que su cuerpo necesita. Cuando su cuerpo esta deshidratado puede causar que sus articulaciones se endurezcan, sufrir de músculos adoloridos y que su concentración y rendimiento se desvanezca. Por lo tanto la hidratación adecuada es crucial para mantener y equilibrar sus nuevas metas de llevar una vida más saludable. Suele suceder que olvidamos que el agua forma parte de nuestro estilo de vida saludable. Nos enfocamos en tener un plan de ejercicio y una dieta saludable, pero el agua se pierde en el plan. El agua nos proporciona hidratación que da energía a nuestro cuerpo para que funcione. Essentia Water añade la mezcla perfecta de electrólitos a agua purificada y luego se ioniza, la creación de un distintivo 9.5 pH agua alcalina para ayudar a su cuerpo a mantenerse bien hidratado. Me fascina el sabor y es muy refrescante. Recientemente estuve enferma y beber Essentia Water con sus electrólitos realmente me ayudo a mantenerme hidratada y darme ese empujonsito que necesitaba. 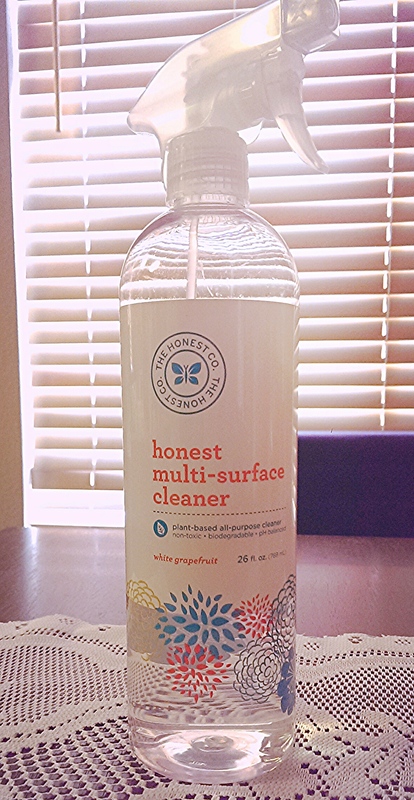 ¡Yo les recomiendo Essentia Water y es por eso que por mi cuenta es un Buen Producto! Growing up one of my favorite cereals was Cinnamon Toast Crunch. Those crunchy cinnamon squares were so addictingly delicious. My favorite part was drinking up the leftover milk that had turned into sweet cinnamon milk; so good. Now, as a Mom I started to wonder what cereal was I going to give my daughter that resembled Cinnamon Toast Crunch in a healthier option. All those popular well known brands of cereals don’t have the best nutrition and ingredients. They are heavily processed, full of sugar and additives that don’t make them the best choice. But I felt bad because as a child I enjoyed eating cereal for breakfast or as a late night snack. I wanted my daughter to experience the same happiness I felt eating Cinnamon Toast Crunch. One day at Wholefoods I stopped by the Cereal isle and just started looking for a better alternative to Cinnamon Toast Crunch and just as I was looking around and reading each cereal box my daughter very nonchalant said, “Mom, I want that one. The one with the teddy bear.” I saw the box that she was pointing at and it was Barbara’s Snackimals Cinnamon Crunch. That was exactly what I was looking for; how did my daughter know? We brought it home and gave it a taste. It was so good and it was like eating Cinnamon Toast Crunch but without all the extra sugar added. It was not overly sweet at all. My daughter loved it and I loved it as well. Oh and guess what? The left over milk turned into cinnamon milk too and brought back childhood memories. I highly recommend Barbara’s Snackimals Cinnamon Crunch. Not only are they delicious but they are a healthier choice for our kids. They are organic, non-gmo, have less calories, less sodium, whole grains, calcium, and fiber as oppose to the other well known cereal. The ingredients of Cinnamon Toast Crunch include maltodextrin, dextrose, trisodium phosphate, added color, 180mg of sodium and 9g of sugar. Cinnamon Toast Crunch is not the best option for our children but Barbara’s Snackimals Cinnamon Crunch is. For more information on Barbara’s food products and other cereal flavors visit their website here . Cuando era niña recuerdo que Cinnamon Toast Crunch era unos de mis cereales favoritos. Esos cuadraditos crujientes y llenos de canela me fascinaban. Y lo que muy bien recuerdo es que la leche que me quedaba al final sabia a leche de canela; delicioso. Ahora como mamá quería que mi hija disfrutara de un cereal como Cinnamon Toast Crunch pero más saludable. En general todos los cereales de marcas populares no son una buena opción ya que son demasiado procesados y contienen aditivos alimentarios no saludables. Pero yo quería que mi hija tuviera la misma experiencia que yo tuve de niña y sentir esa felicidad que uno de niño siente al comer cereal. En la tienda Wholefoods estuve en la sección de cereales buscando y leyendo cajas de cereal. Cereal que fuera similar a Cinnamon Toast Crunch. Y mientras yo muy ocupada leyendo nutrición en las cajas mi hija muy fácilmente me dice, “Mamá yo quiero ese cereal. El del osito”. La caja que estaba apuntando era Barbara’s Snackimals Cinnamon Crunch. Justo lo que estaba buscando, ¿como supo mí hija? Leí los ingredientes y me convencieron de que era una mejor opción. Probamos el cereal mi hija y yo y nos encanto. Era como comer Cinnamon Toast Crunch pero en una forma mas saludable ya que no era tan dulce y la leche que nos quedo al final también se convirtió en leche de canela. ¡Muy rico! Los cereales de Snackimals son orgánicos, no contienen ingredientes genéticamente modificados, tienen menos calorías, menos sodio, tiene calcio y fibra a comparación de Cinnamon Toast Crunch. Este otro cereal de marca popular contiene ingredientes genéticamente modificados, le agregan color, 180mg de sodio y 9g de azúcar. Les recomiendo el cereal Barbara’s Snackimals Cinnamon Crunch. Es muy delicioso y con ingredientes más naturales. Barbara’s también tienen otros cereales y productos de comida muy ricos. Para más sobre estos productos visiten el sitio web, aquí.